The spike (endpin) was only invented in the 1830’s. Just imagine: all the music of Bach, Haydn, Boccherini (see picture), Mozart, Beethoven, Schubert and even Rossini, was originally played “spikeless”, with the cello supported only on the cellist’s calves (lower legs). The humble endpin is the single most important element after the chair, in determining our sitting posture. By varying its length, shape and point of contact with the floor, cellists of all sizes are able to instantly adapt to any combination of different sized chairs and cellos. But it can also cause us problems. Just like with the violinist’s chin rest and shoulder rest, if we “get it wrong” this magnificent improvement can become a source of great complications. One sure way in which the endpin can ruin a performance is if it moves (slips). Not all floors are able to have a nice spike hole dug into them, and many floor-owners do not appreciate holes being made in their beautiful floor or rug. So every cellist needs a good “spike-stop” which can be attached to the front left chair-leg. The roll-up belt style is not only very portable (it rolls up) but also very adaptable because it’s many holes mean that it’s length doesn’t need to be adjusted for chairs of different heights. While this wonderful invention usually helps us to be comfortable, it can allow us to be actually a little bit TOO comfortable !! It is perhaps worth noting that the inventor of the spike was the very good – but extremely overweight – Belgian cellist, Servais. Sitting right back in our chair, with our torso supported by the chair’s back, is a posture that is only possible when playing with a spike. This may feel like a wonderfully comfortable posture but it can be a trap in that it allows us to avoid using our own back muscles. Here, the saying “use it or lose it” is very appropriate! See The Chair. Curiously, a simple observation of orchestras in general, reveals that amongst cellists, men have a much greater tendency than women to lean back in their chairs while playing. Hmmm ……. It can be quite therapeutic to play sometimes without the spike. This is, not surprisingly, especially appropriate for Baroque and Classical Period music. Suddenly we have a more natural, intimate and mobile contact with the cello. Without the spike we can rock, sway and twist in every direction, in a way that is impossible when the cello is attached to the floor. Also we are now obliged to have the cello angled more across our body, with the cello neck consequently further away from our head. Also, the cello is usually more vertical when we play without a spike, and its weight is carried passively and almost exclusively by our lower legs. The amount of cello weight on our sternum is therefore much reduced. Without a spike it is quite natural to have an active, forwards-leaning posture – almost as though we were embracing the cello. All this can have a beneficial, relaxing, loosening-up effect. Let’s look now at the different variables that the spike offers to help us adapt to sitting with the cello. There are basically only two of these, both very important. These two variables are inextricably linked. Assuming that the chest/cello point of contact is to remain unchanged, then we cannot change spike length without changing the floor/spike point of contact, and vice-versa. These two spike variables determine both the the height and the angle of the cello’s placement. This has many consequences for our bowing and our left hand, as well as for our general sitting posture. We can, and indeed should, experiment with these two variables. how far out in front of the body do we want the spike to contact the floor ? how centered do we want this point of contact ? We can see that as the spike’s point of contact with the floor is brought closer to our body (and the chair) the cello gradually becomes more vertical and is gradually pushed up our chest. As we move the spike’s point of floor contact away from the body the opposite happens: the cello falls lower and lower down our chest, gradually becoming more horizontal until, ultimately, the cello’s neck and scroll are resting on our shoulder and we start to collapse our lower back in order to lower our shoulder even more. Because of this collapse of the lumbar curve (see Seating Posture) this is quite a dangerous posture. Our choice of the spike’s point of contact not only has serious postural effects, it also affects our sound. As the cello climbs up our chest and becomes more vertical, the same position of the bow arm will actually place the bow closer and closer to the bridge. This can have a very positive effect if we have a tendency to playing with the bow’s point of contact too close to the fingerboard. 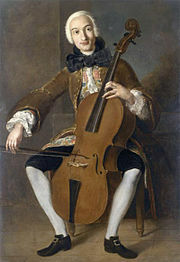 And if we have a tendency to play too much “sul ponticello” then we may want on the contrary, to lower the cello on our chest and thus move the cello bridge lower down and further away from our body. A longer spike requires a spike-floor point of contact further out in front of the cellist (and vice versa). This has the effect of placing the cello more horizontally. This can push our torso backwards a little and we may need the backrest, especially if the cello is high on our chest. A major ergonomic advantage of this position is that it frees up our neck, which is no longer banging against the C-string peg. A shorter spike, on the contrary, requires a spike-floor point of contact closer to the cellists body (and vice versa again) and has the effect of placing the cello more vertically. This will probably bring us forward on our chair, towards the seat edge. It also encourages us to lean forwards but can create neck problems because of the disturbing presence of the C-string peg (see Seating Posture). The cello neck passes on the left side of the cellists neck. This means that, if we want the cello to be in a straight vertical line with the body (i.e. not slanting diagonally across it) then the point of contact of the spike with the floor will also need to be slightly on the left side of the body. On the other hand, having the spike more centered or even slightly to the right of the cellists vertical axis, will cause the cello to slant diagonally across the cellists body. This did not seem to worry Boccherini !! (although it does make playing at the frog on the A string slightly more uncomfortable for the wrist). Changing the spike length has quite different effects according to whether or not we change the point of contact with the floor. Let’s experiment with different combinations of these two variables. 2.1: Previously, we experimented with changing the spike’s point of contact with the floor, while keeping spike length constant. Now we will do the opposite and will change the spike length but maintain the same point of contact with the floor. As we lengthen the spike we have only two choices: either the cello rides higher and higher up our chest, or else we lean backwards to keep the cello-chest point of contact in the same place. Shortening the spike has exactly the opposite effect. This is comically obvious whenever we find our spike “slipping” while playing. Again we only have two choices: we either lean forwards further and further to try and maintain the cello-chest point of contact, or we let the cello slip lower and lower down our body until we can barely reach it. 2.2: If we change the spike length and also change its point of contact with the floor then we can change the cellos angle without moving its point of contact with our chest. This is why before we start to find our optimal spike settings (length and distance from body) we usually need to have a clear idea of exactly where we want this cello-chest point of contact to be. The “Tortelier” spike – bent, with a more vertical angle towards the ground – seems to be suited especially to cellists with long legs who would otherwise need to use a very long spike. Because the spike touches the floor more vertically than a long traditional spike, it takes more of the cellos weight (and bow pressure) off the cello’s contact points at the chest and leg and gives greater stability (less spike wobble). However, for cellists with shorter legs this spike is neither useful nor convenient as it encourages us to lie back in our chair rather than leaning forward towards the cello.